As people eye up Black Friday bargains this week, half of shoppers (50%) are focused on buying Christmas gifts that people will find useful or have specifically asked for this year, according to new research released today by Compassion UK. Gifts that are funny, sentimental or expensive come bottom of the list when shopping for family and friends, whilst less than one in ten (7%) say that finding a bargain is the driving force behind selecting the perfect gift. The research into the UK’s Christmas shopping habits was commissioned by Christian child development charity Compassion UK which has launched its ‘Make My Christmas’ Appeal to help give gifts to almost two million children living in poverty around the world this Christmas. Researchers who polled 2,000 UK adults found despite shoppers having an average of seven people to buy gifts for, two in five (38%) find Christmas shopping stressful or worrying, with women getting more stressed than men. 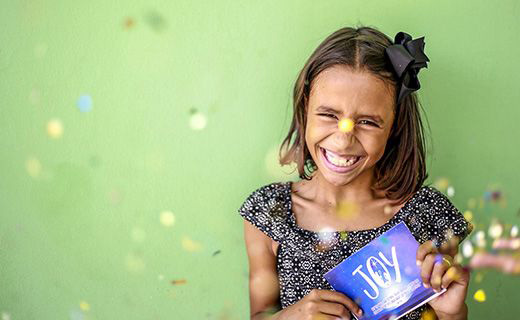 Compassion UK’s Make My Christmas Appeal helping to ensure that the 1.82 million children who have sponsor families around the world receive a handpicked Christmas present this year. 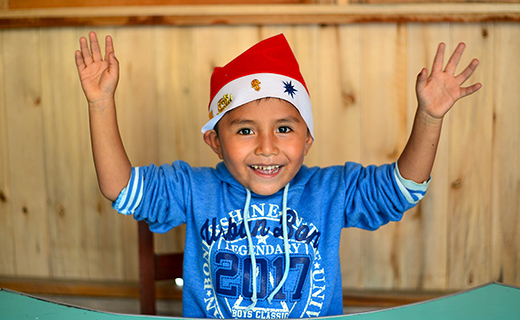 However, it also wants to bless the 160,959 children who are still waiting to be sponsored with a gift to unwrap too. Compassion Ambassador and singer-songwriter Chloe Reynolds commented: “My list of people to give a gift to seems to grow every year. I come from a big family, and my siblings are now each making their own families too! I find it a real joy to buy gifts for people who are very close to me because I enjoy giving thoughtful presents. 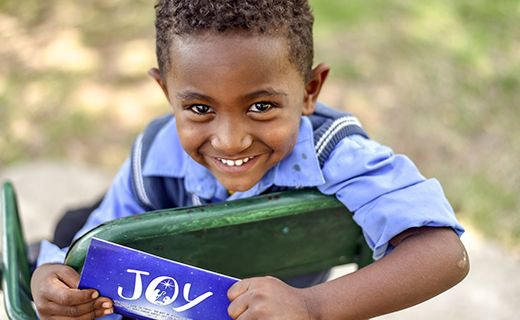 Compassion’s aim is to see children around the world released from poverty in Jesus’ name. By working in partnership with local churches in developing countries, Compassion will link a child in critical need with a caring sponsor. For a donation of £25 a month a child is supported by their local Compassion project where they will receive nutritious meals, emotional and spiritual support, medical attention and the chance to get a good quality education. 7 year old Prisca from Togo in West Africa is one of the 160,959 children who are still waiting to be sponsored. Prisca told the Compassion team: “I would be so happy to receive a Christmas gift, it would be my joy." Prisca’s Christmas wish is for a backpack that she could take to the project. Prisca and her friends are looking forward to the Compassion project Christmas party as they sing, dance, eat and play games. A donation of £10 can ensure that a child, like Prisca, still awaiting sponsorship receives a Christmas gift this year.